In a previous blog I reviewed Ellie Goulding’s Halcyon Nights eyeshadow palette. Now I’m going to review two lip products from her make up range with Mac. So I’m starting with swatches of both the lipstick and lipgloss. 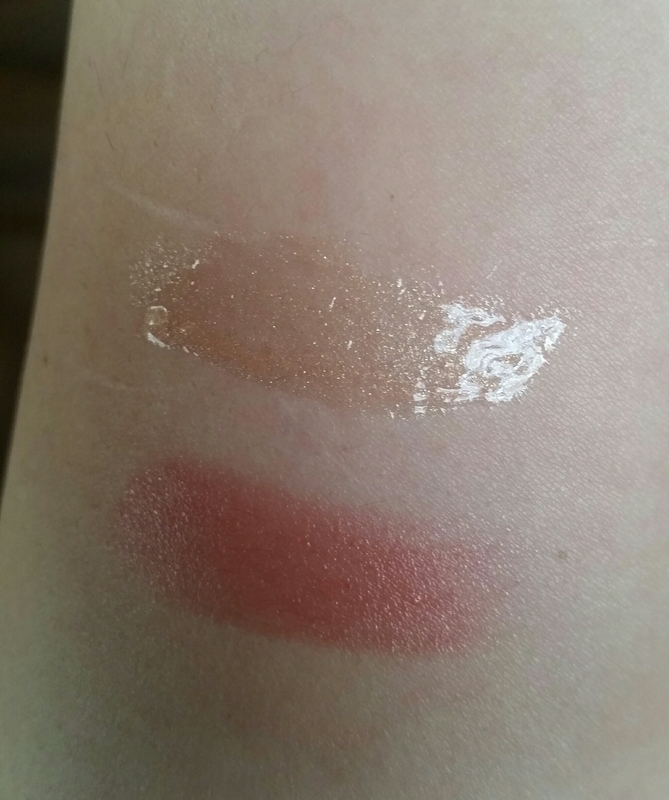 The top swatch is Plushglass lipgloss in the colour Explosion and the bottom swatch is the Cremesheen lipstick in Only You. In this collection there’s only two proper lipsticks and they are the Creemsheen ones like the one I’m reviewing here. 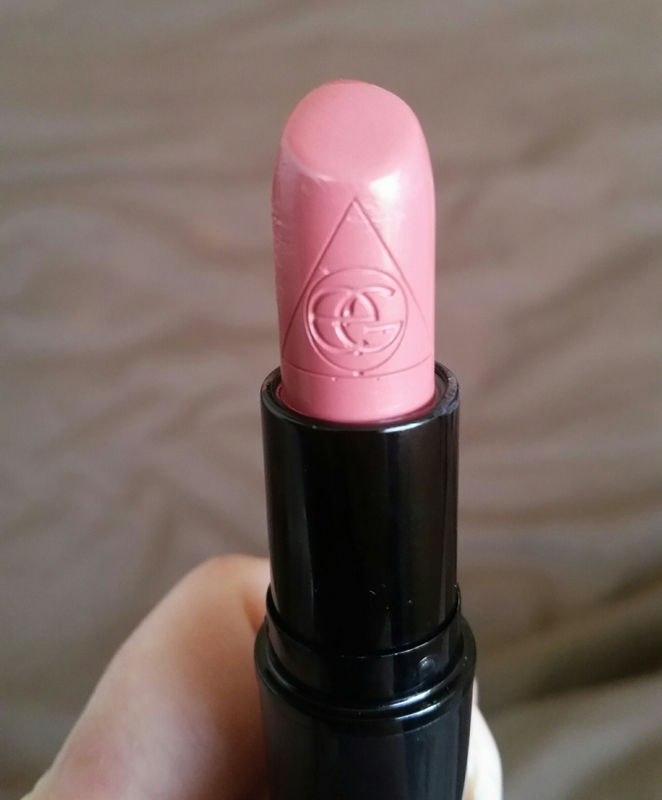 I have the Only You shade which is a pretty pink with coral undertones. It has enough colour to be noticeable on the lips and to look healthy, but the colour is still subtle. I’m not a huge lipstick fan as I find them quite dry on the lips but this Cremesheen one is smooth, creamy and has a bit of a wet look and feel to it. So let’s look at the pros and cons of this lipstick. The Colours!-There is only two colours in the Ellie Goulding range but both are pretty, delicate, spring time shades. 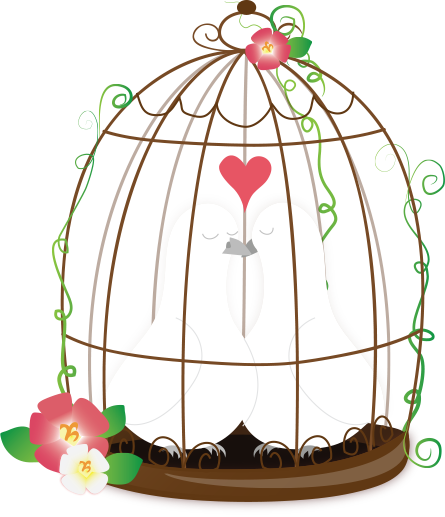 Only You is a pink colour with undertones of coral, whilst Without Your Love is a light-medium pink with warm undertones. Both are great shades for everyday wear. The Texture-As I mentioned above, I find most lipsticks very dry on the lips. Cremesheen applies smoothly and has more of a wet glossy feel than many lipsticks do. It’s not long lasting-I found myself really disappointed at the lack of time this stayed on my lips. It’s definitely not as long lasting as I’d hoped for and I found it a bit of a nuisance to have to keep reapplying. I love this lipstick. The colour is gorgeous and it feels glossy and comfortable on the lips. My only real complaint is that it’s not a long lasting lipstick. 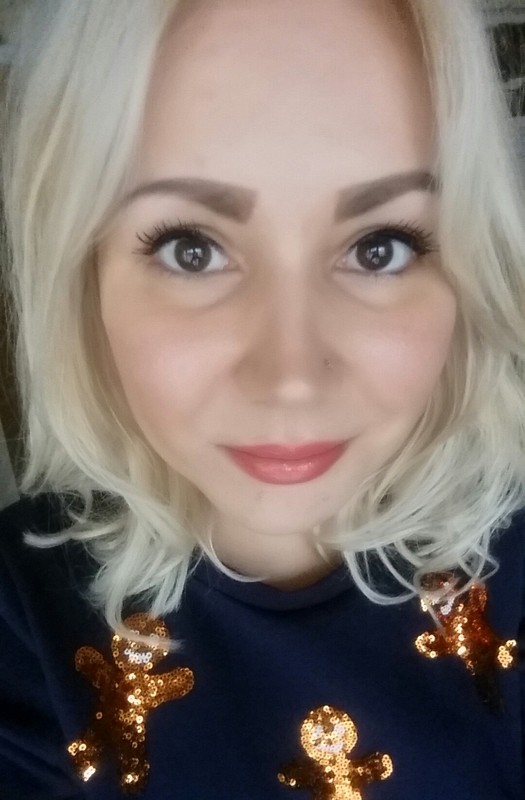 Below is a photo of me wearing the Only You lipstick. This is my first time using a Plushglass lipgloss and it’s a product that divides opinion. I bought Explosion, which is a light golden shimmer. See below for my pros and cons for this product. The scent-When I opened this lipgloss, the first thing I noticed was how nice it smelt. It has a gorgeous, sweet scent like marshmallows. It plumps lips-So the main reason this gloss divides opinion is because it causes a tingling sensation when applied. This is because this gloss plumps lips, but in all honesty I didn’t find the tingling too bad. I did notice a bit of an increase in the fullness of my lips, so it does work. The Texture-I found this gloss sticky and it has a thick texture meaning it doesn’t apply smoothly. It felt heavy and gloopy on my lips and didn’t apply well over any lipsticks I tried it with. The Colour-So, I can’t judge all the colours as I’ve not tried them, but this colour did not work for me at all. 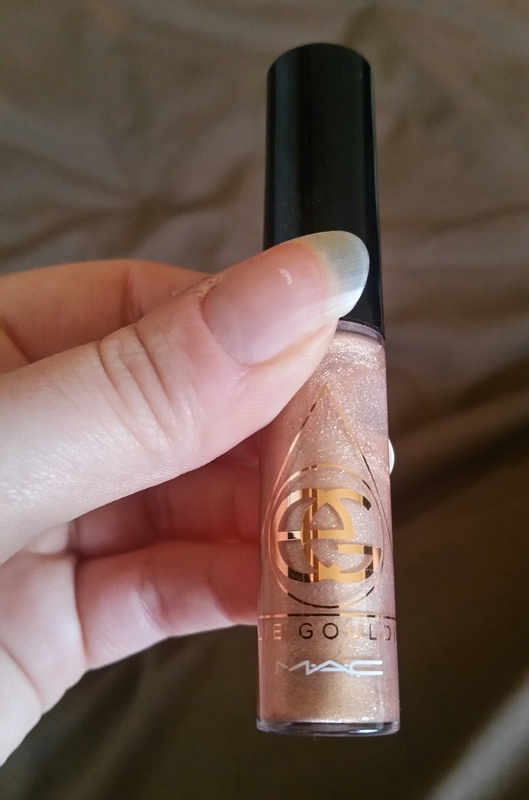 It looks pretty in the tube, but it was too shimmery and frosted on my lips. This combined with the golden colour just washed my skin out. Explosion for me is a shade that would work for darker or tanned skin tones. I really didn’t like the Plushglass lipgloss. For me, even if I’d picked a different colour I would still dislike the way this feels on my lips. The only positive for me was the slight plumping effect, but I wouldn’t recommend this product at all. 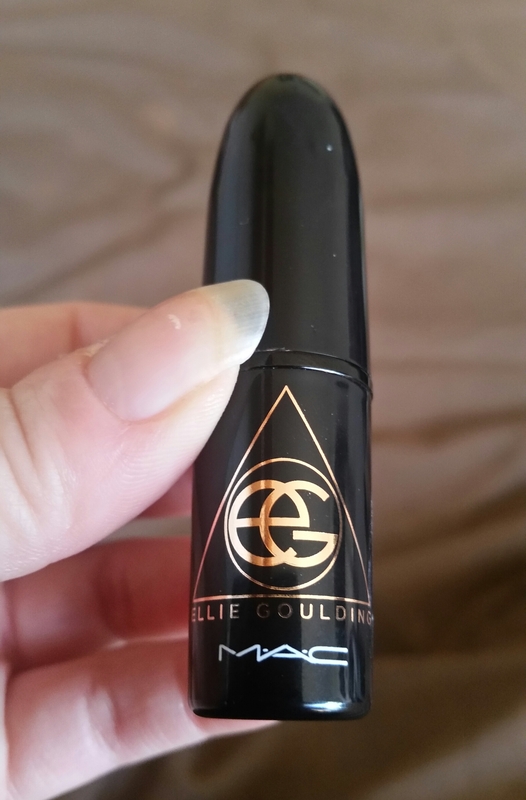 So that’s my review of two of the Ellie Goulding for Mac products. Let me know if you’ve tried any of this range and how you found it.